The South Korean tech giant was forced to recall some 2.5 million devicesglobally due to overheating batteries. The phone was to be back on the shelf on 28 September but is now expected to be available 1 October at the earliest. On 2 September Samsung had said it would stop selling the phones and offered to replace the ones already sold. The firm also urged people to stop using the device. The global recall affects 10 markets. In South Korea, some 200,000 customers have already returned their devices with the same number of people still left for the recall, according to Samsung. Reuters reported that the next markets where the phone will be available for sale again will be Australia and Singapore in October. On Friday, cabin crew on an Indian passenger aircraft used a fire extinguisher to tackle a smoking older Samsung handset. The Galaxy Note 2 – a model launched in 2012 – was smouldering and spitting sparks, according to a statement from airline IndiGo. 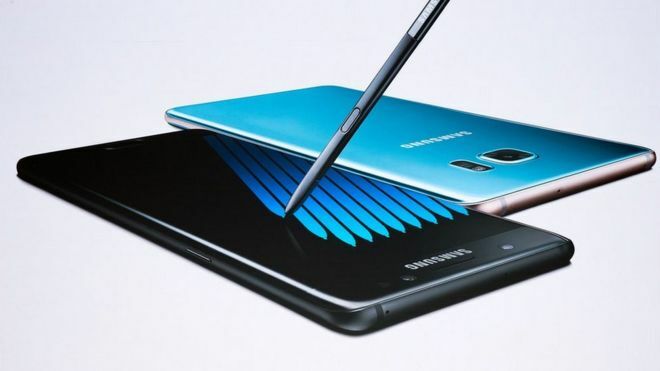 In the US, regulators have ordered a formal recall of the Note 7, while the country’sFederal Aviation Administration has told airline passengers not to bring the phones on planes unless they keep them turned off and don’t charge them during the flight. A number of airlines around the globe have also banned the phone from being used or charged on their planes. The phone was originally launched on 19 August and had been generally well-received by critics and consumers. The recall comes at a crucial time for Samsung as rival Apple has just released its new iPhone 7.